Gin-Gins Chew Ginger Candy from Ginger People is made with 10% fresh ginger. 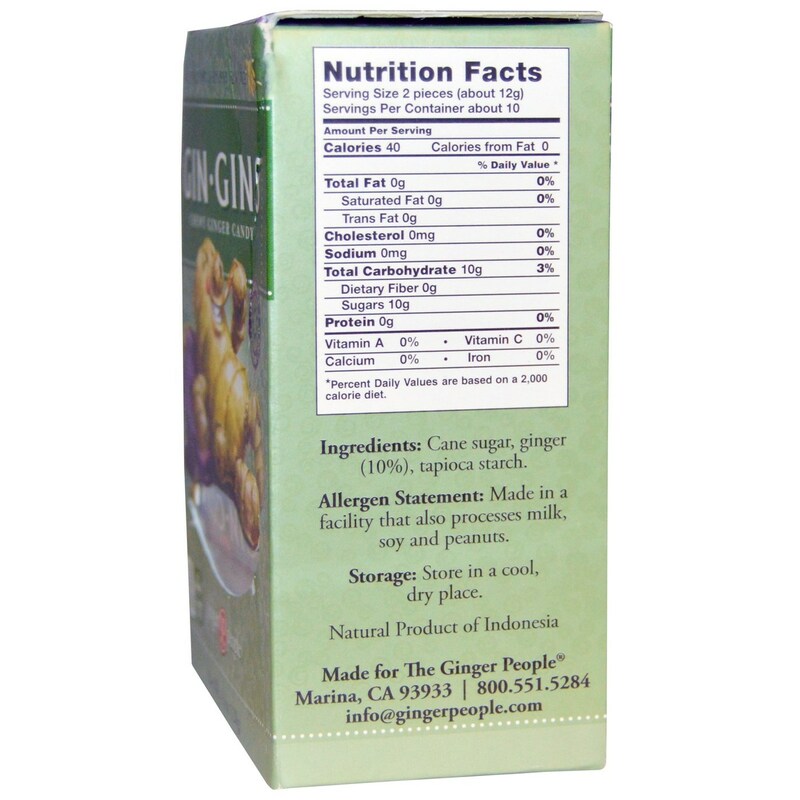 Warnings: Made in a facility that also processes milk, soy and peanuts. Notes: Gluten Free. Vegan. All Natural. Store in a cool, dry place. 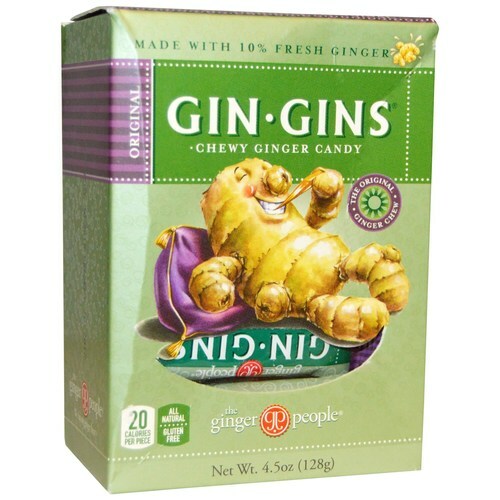 The customer reviews posted below are based on individual consumer experiences and may NOT necessarily represent what expected results will be from using or taking Ginger People Gin-Gins Chew Ginger Candy - 4.5 oz. These results may not be typical and you should not necessarily expect to receive the same results. Actual results may vary. Great as a healthy treat or when you feel a cold coming on.